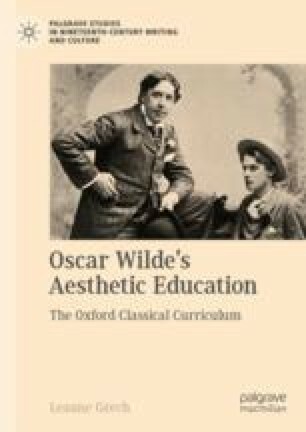 This chapter explores Wilde’s personal approach to Platonic love, as expressed in his court testimony and the writing he addressed to his lover, Lord Alfred Douglas (including love letters and the prison letter that is commonly known as De Profundis). These sources reveal that Wilde viewed his friendships with young men as a key part of his creative and intellectual life as a writer. In court, Wilde recognised Douglas’s standing as a poet, and in his letters, Wilde idealized Douglas as a spiritual teacher and his source of inspiration. When writing to Douglas from prison, however, Wilde assessed the ways that his lover failed to satisfy his intellectual needs and positioned Christ as the ultimate lover/artist who understands the profound beauty of sorrow.